Father’s Day is a perfect time to teach your preschoolers about the joy of gift giving. Celebrate all the ways Dads are important by creating a special craft project featuring one of Dad’s favorite past times: golf! There are several inexpensive ways to incorporate a golf theme into some easy craft projects that will make wonderful keepsake gifts. Help your preschoolers make Dad’s special day even more memorable! 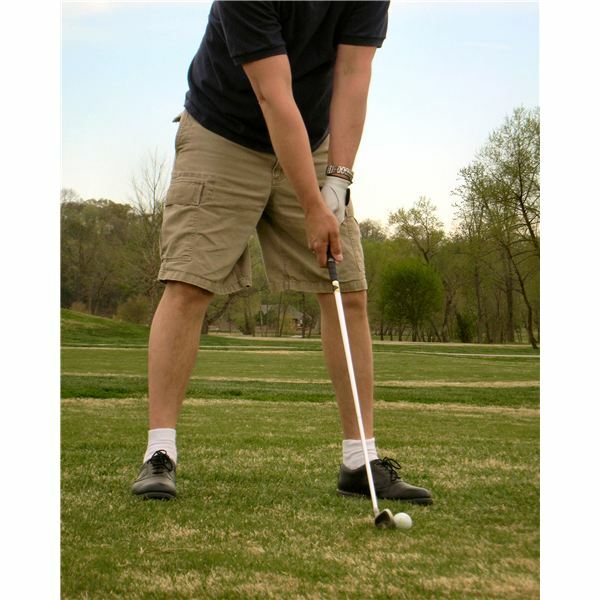 Golf tees come in a variety of colors and are available in bulk, making them the perfect art medium. For this project, you will need golf tees in several different colors, posterboard or foam board and glue. Allow children to create a picture in any way they choose using the colored golf tees and foam board. Be sure to warn children that the golf tees have a sharp point on one end and to use care when handling them. Golf tees are also the perfect size for forming block letters. For a challenging project for young children, write the child's name on a piece of posterboard and allow them to use the golf tees to create the letters in their name. Or, get creative and have children brainstorm a few messages they can write to their Dad on Father's Day. Write these in marker or pencil and have children glue the golf tees to spell out the message. Use a bowl or another large round object to trace circles onto several pieces of white paper. Have children practice cutting by cutting out all of the circles. Staple five to six circles together to form a book. You can create personalized "Me and My Dad" books in a golf ball shape. Have children illustrate pictures of things they like to do with their fathers, and have them tell you about their pictures. Take dictation and write down what the children say about their fathers in the books. Dads will treasure these books for years to come! While this art activity does not produce a product that looks like a golf ball or golf club, Dads will appreciate their preschoolers creativity in using a simple object to create a beautiful piece of art. To begin, give each child a shallow cardboard box, such as a shirt gift box. Place a white piece of paper in the bottom of the box. This art activity works best if the paper fits the exact dimensions of the cardboard box. Dip a golf ball into some tempera paint and place it in the box. The child will create an abstract art piece by moving the box in different directions, causing the colored golf ball to leave a paint trail across their paper. Use several different colors of paint-coated golf balls to create the desired effect. It is never too early to teach children about the joys of giving gifts to others. Dad's often hold a special place in preschooler's hearts, so giving gifts to Daddy is enjoyable for children. Try one of these Father's Day preschool crafts for a golfer and make this father's day a special one for your preschoolers and their Dads!